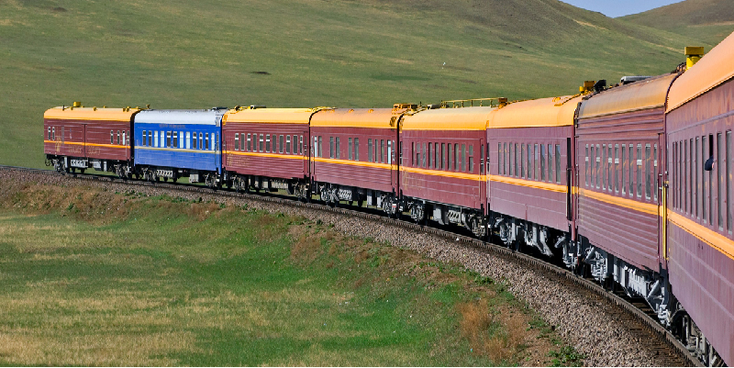 The journey from Russia to China or Mongolia by train is one of the world's most epic train journeys that you can make. Because there is still a lack of clarity regarding the different names; first there is the "Trans Siberia" express that runs from Moscow to Vladivostok in the very eastern tip of Russia. 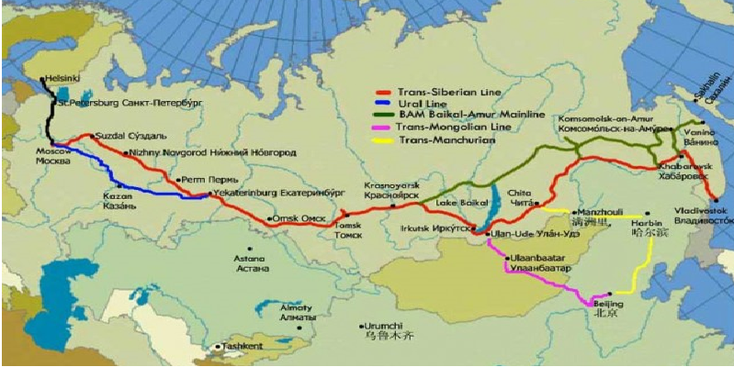 The "Trans-Manchuria" express is the train that also departs from Moscow but goes via Chinese Manchuria (Harbin). This train also stops in Beijing. Then you also have the Silk Road express; it drives via Almaty in Kazakhstan to Urumqi and Beijing in China. Finally, there is the "Trans-Mongolia" express; this train also departs in Moscow but bends to Mongolia and finally ends in Beijing, China. All trains also go vice versa. Although there are countless similarities in this chapter, only the last "express" (Trans-Mongolia) is dealt with in this chapter. At the end of the 19th century, the first plans were made to build a train route over the entire length of Russia. 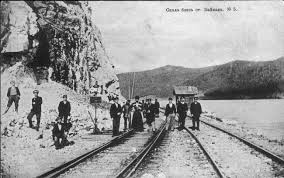 In 1898 the big "Trans-Siberian Express" construction was started and sixteen years later, on 13 May 1914 the train was able to cover the entire route between Moscow and Vladivostok for the first time. The trans-Mongolian railway, a branch of the Trans-Siberian railway, is the most important railway line in Mongolia and construction started in 1940. Firstly, the railway line from Ulan-Ude (Russia) was extended to Naushki (the bordertown Russia and Mongolia) and in 1950 the railway was taken into use from the border to Ulaanbaatar , the capital of Mongolia. Five years later, in 1955, the last part followed to the Chinese border. While the TS line from Moscow to OO is about 5500 km, the line from OO to Beijing in China is over 1800 km long. Each wagon has its own toilet (and small shower) and a sink at the end of the corridor where you can fresh up. You can buy your ticket separately in Moscow (or Beijing), but perhaps it is wiser (and cheaper) to purchase it from a travel company in the Netherlands. Remember that in addition to the train ticket, you also need three different visas – a Russian, Mongolian and a Chinese one, not the easiest to get. Popular stops are the "Lake of Baikal" and "Ulan Bator" in Mongolia - please note; previously tickets were open ticket but that time is unfortunately over. Your ticket will expire when you get off and you need to reserve a new one to continue your journey. People come to meet you when you get off the train to ask if you are interested in an overnight and / or day trip (s) so accomodation is no problem. The train stops by the way countless times and mostly local people stand on the platform to sell you food and all kinds of stuff. There are different classes in different trains; often the 1st class is a 2 person coupe while the 2nd class is a 4 person coupe. Prices are approximately 530 euros for a 2nd class bed and about 750 euros for a 1st class. Sweat pants or s.th. like that, reading material (you often see the same panorama for hours), flip flops, vest or something like that, toilet paper and ofcourse things like pasport, visa, money etc.